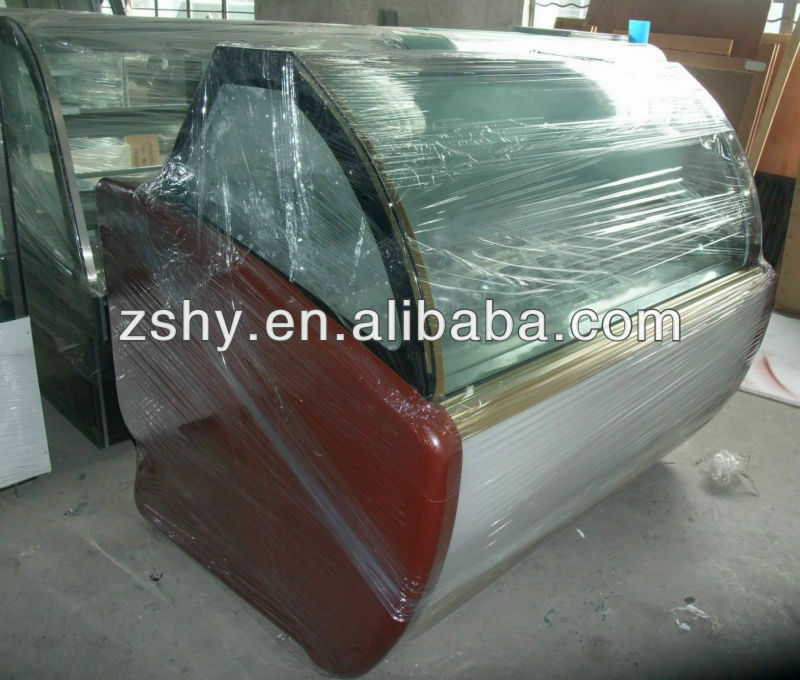 1.Curved exterior design, lovely and generous,showing superior results. 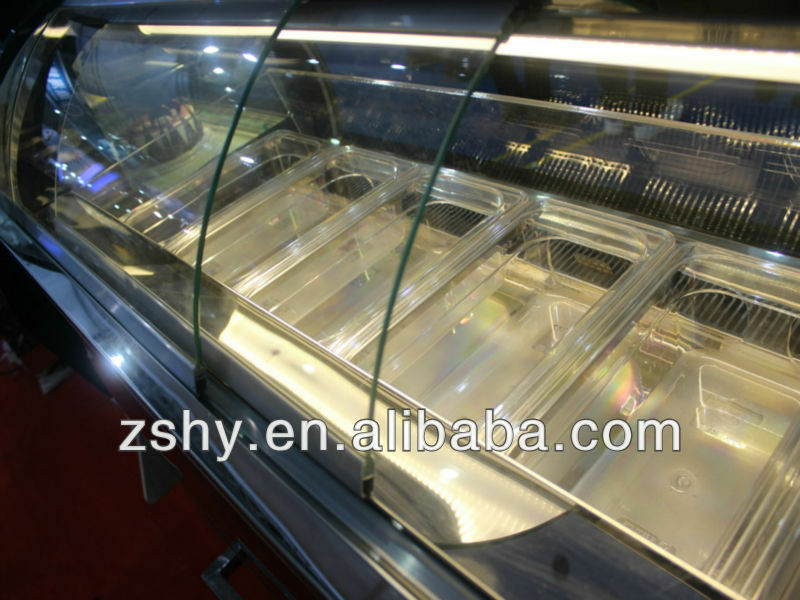 2.Large clear glass display surface,cabinet items at a glance. 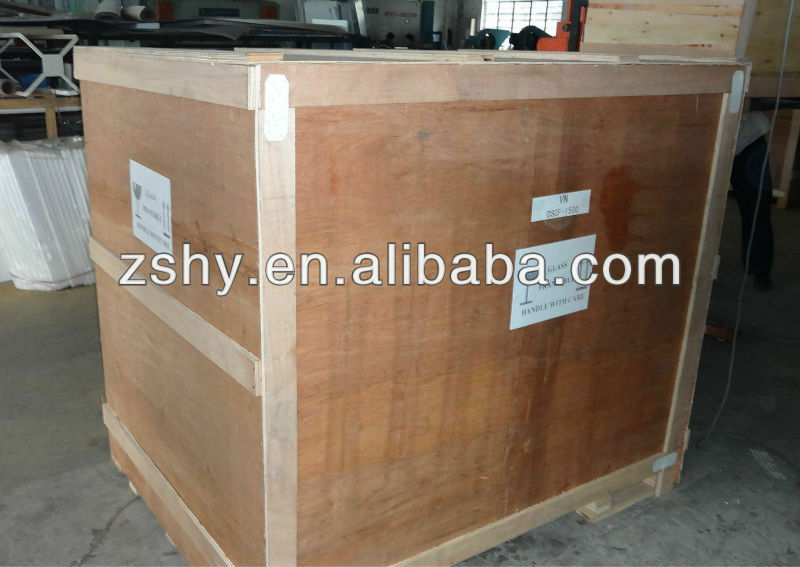 3.Long preservation time,cooling speed,strong sealing performance. 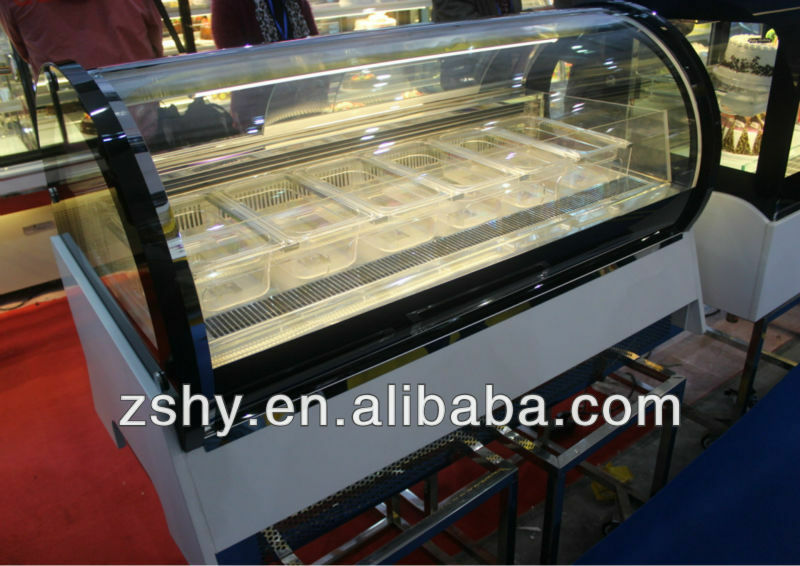 4.Refrigeration system for the import of brand-name products,all enclosed refrigeration. 1.We are one of the biggest ice cream freezer manufacturer in China,we continuously improve our technique and innovate our design,which makes our product fashion and popular in the international market. 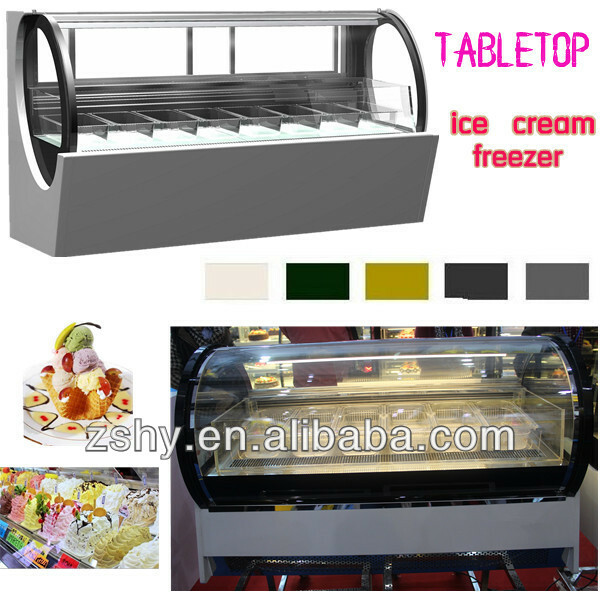 2.Ice cream freezers are used in ice cream shop,ice cream parlour,store,supermarket,beverage and drink shop etc.to display ice cream and gelato. 3.We use branded compressors like Danfoss,Aspera for a maximumly efficient cooling with lowest noise and energy consumption. 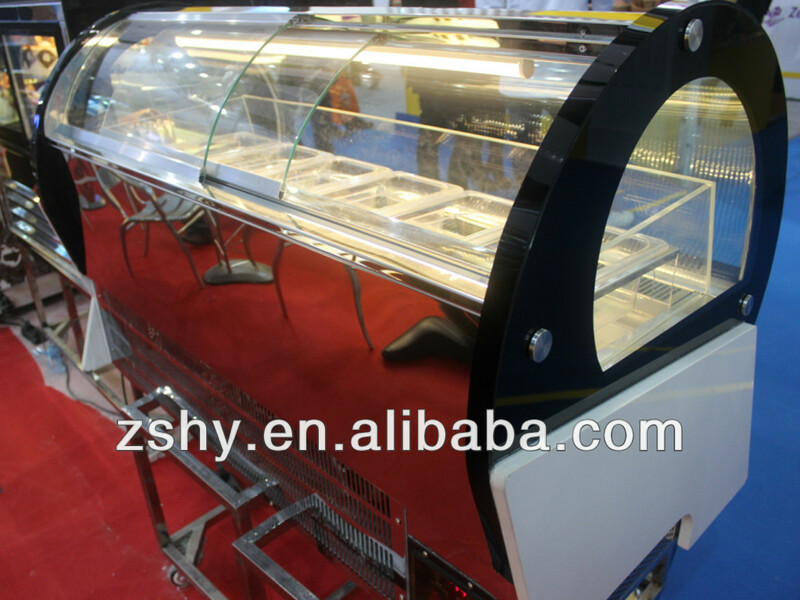 5.Microprocessor controlled temperature with digital read-out,and easy settings of temperature and range. 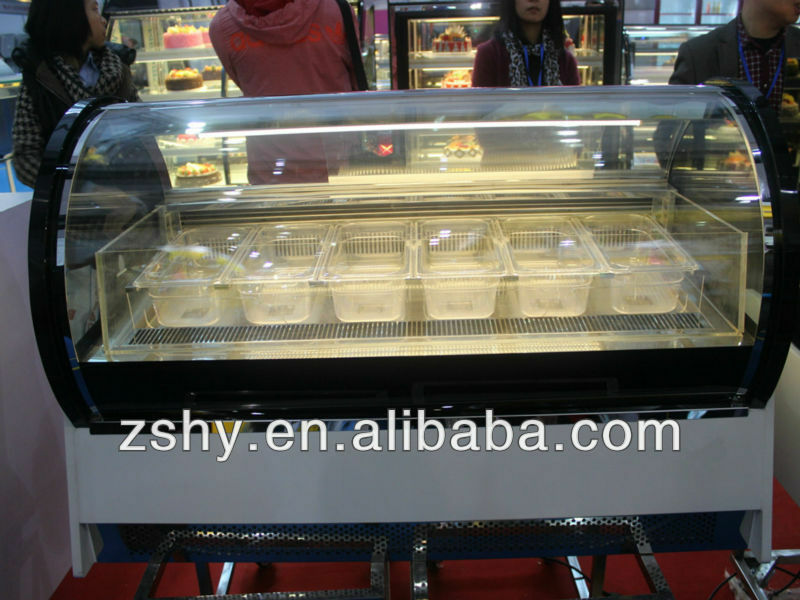 6.Vacuum glass serving windows,reliable,people can see the ice cream clearly through the glass. 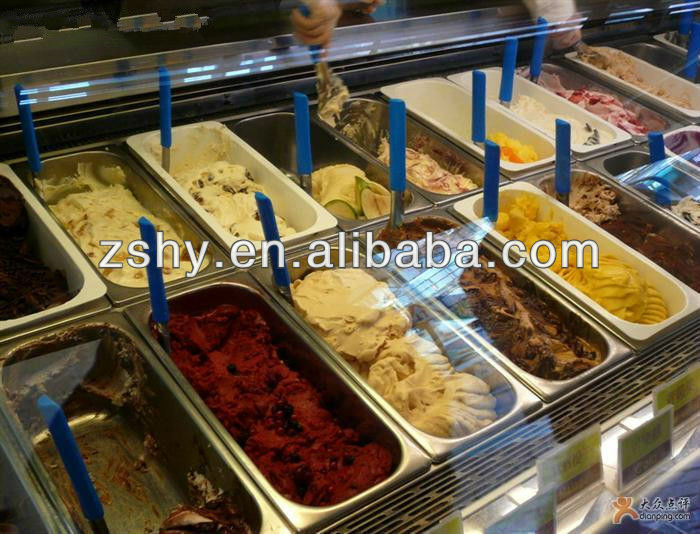 7.The voltage(110V/60HZ or 220V/60HZ) can be changed base on the client's requirement,so this ice cream freezer suitable to be used all over the world. 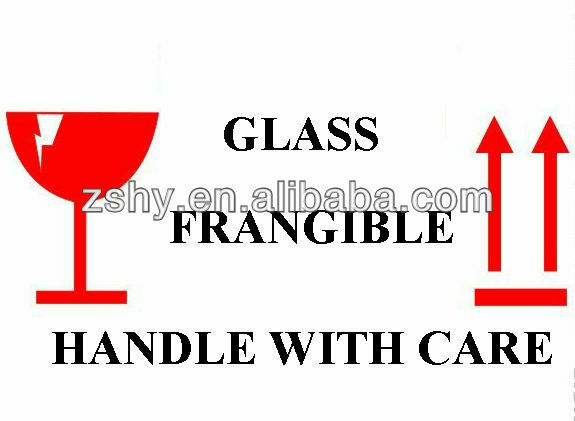 9.Customized design are welcome in our factory,we will protect your design,won't sell it to others. 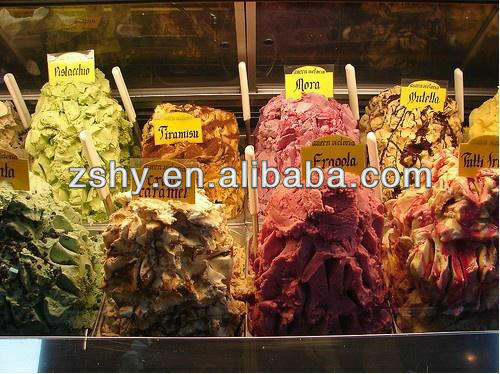 We strictly following the ISO quality management system,ensure our ice cream freezers with fine quality,and make them to be the best choice to display ice cream and gelato!!! 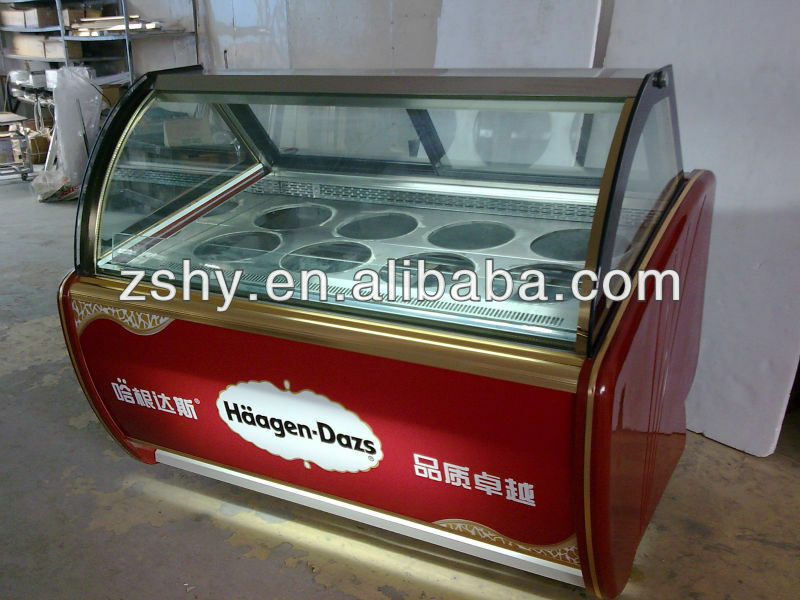 2.front view-front light box for advertisement! !